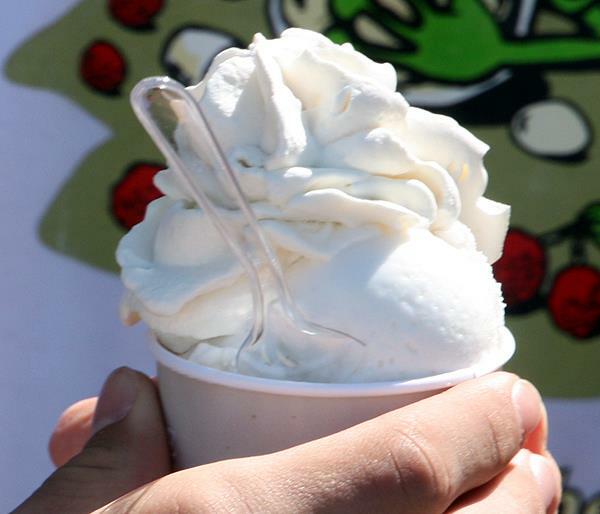 National Ice Cream Month is here again with National Ice Cream Day just around the corner. Here's a list of all my previous ice cream blog posts on the subject of National Ice Cream Month. Making ice cream is an obvious way to celebrate and you can find lots of ice cream recipes to have fun with. Another way to celebrate the fun of ice cream is to enjoy great ice cream photographs - and I have thousands that I have taken over the years! So between now and the end of July I'm going to post a succession of some of the most mouth-watering ice cream pictures you'll ever see! Here's the first.